"The First Choice in Behavioral Health Care"
At NOVA Behavioral Health, we strive to provide access to care and excellent clinical services that assists each individual in their efforts to begin or strengthen their recovery journey. Our goal is to support the individual not only in their recovery, but to also help them identify healthy supports who will become integral in the recovery process. We work with adults who are 18 and over. NOVA offers a continuum of alcohol and drug services which includes Out-patient, Residential, and After-Care services. The focus of the treatment is to assist individuals in making the changes necessary to achieve and sustain recovery from alcohol and other substances. Support for engaging with Medication Assisted Treatment is offered. Clients who are currently engaged in Medication Assisted Treatment will be accommodated. NOVA offers a co-ed residential program for individuals who have a serious mental health disorder. There are two tracks in this program, one for individuals who also have a serious substance abuse disorder, and one that address solely the mental health disorder and/or with substance use concerns. This program is located on Heid Avenue. 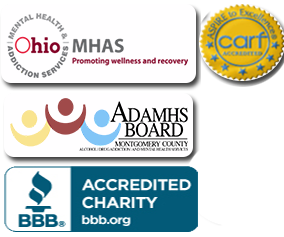 Nova Behavioral Health, Inc. employs degreed and licensed/certified clinical and qualified professionals in the development of our treatment teams.